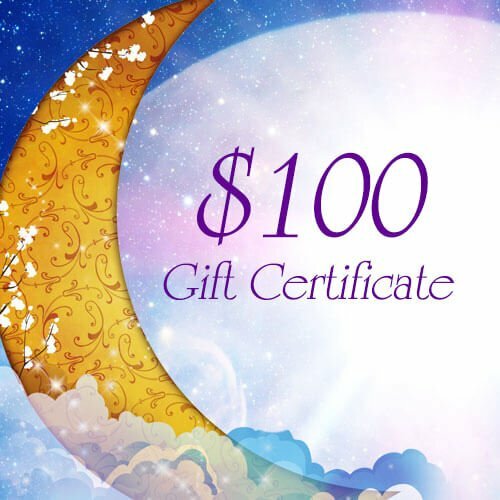 Our Online Gift Certificate is a wonderful alternative to purchasing a gift for your "spiritually minded" friend, family member or co-worker. You may also suggest them to your friends and family as a gift for yourself if your loved ones do not know what to buy for you or if they aren't sure what spiritually-minded products you already possess. The Mystical Moon Online Store Gift Certificates come in 3 different price points. They are: $25, $50 and $100. All Gift Certificates are only redeemable in our online store - www.themysticalmoonstore.com. For in-store Gift Certificates, please visit one of our brick and mortar stores.